It has been another busy few days for Coventry City Football Club, which has ended with questions again being asked in parliament about the administration process that has proved to be such a big part of where the club is now, a bizarre protest outside the City Council headquarters which involved just forty people and a statement from the council clarifying exactly why they are largely unable to comment upon the club’s continuing exile thirty-five miles away in Northampton. And at the end of busy few days, the feeling that we are left with is that, amongst the support at the very least, only division remains, and these are scars that may take many years to heal. Meanwhile crowds at Sixfields, which are perhaps the only true, measurable barometer of how the people of this city feel about their football club at the moment, remain pitifully low. It’s difficult not to look at Coventry City Football Club and pick up the distinct whiff of decay in the air. First up came the emergence of a new pressure group, called Get Cov Back To The Ricoh. This particular group claimed to be non-partisan in taking sides between the owners of the football club and the owners of the stadium, but their initial questions seemed very much to be slanted towards making ACL, the stadium owners, and Coventry City Council, part-owners of that company, answer questions about their role in the club leaving its home at the end of last season. Perhaps this new protest was a reflection upon a growing frustration with at Sisu’s lack of interest in anybody that doesn’t sing to their hymn sheet. It certainly seems to be true that an increasing number of Coventry supporters have seemed to be coming around to the idea that getting the football club back to The Ricoh Arena, regardless of any considerations, be they moral (should Sisu be handed what they want regardless of the tactics that they employ in order to do so?) or financial (if the offers that Sisu have made for the stadium have been as derisory as it is understood they have been, should taxpayers of Coventry foot that bill or should further cuts be made to public services in the city to pay for it?). Still, this new protest had the enthusiastic support of the Coventry Telegraph, which ran an article about them at the end of last week offering supporters plenty of notice to join the protest, just two days after running an article which started with one leading question – “Could Ricoh Arena be sold to Coventry City owners Sisu for £7m?” – and ended with a poll with another – “Should the council sell the Ricoh Arena to Sisu so Sky Blues can play in Coventry?”, a question to which so many sub-clauses need to be added before any attempt can be made to answer it that it is barely comprehensible – all of which added further fuel to the suspicions of those who have come to the opinion that the local newspaper now come down firmly in favour of the football club owners in this increasingly attritional debate. As things turned out, however, the demonstration turned out to be something of a damp squib. Barely forty to fifty people turned out to support it, and the results of the poll were little more encouraging, with 66% of those who voted coming out against selling The Ricoh Arena. Of course, internet polls can be flaky and assessing their worth is not a task for the faint-hearted, but it’s difficult to look at this and the number of people that turned out to protest against the council and interpret that the owners of the football club are winning any sort of PR battle at the moment. Elsewhere, other developments were afoot. In response to the presentation of an 800 name petition this afternoon, council leader Anne Lucas issued a full statement indicating her desire to “bring the club home for Christmas”, whilst outlining the reasons why the club cannot, due to an appeal lodged by those acting on behalf of the club with regard to its demand for a Judicial Review over loan facilitated by Coventry City Council for ACL in January of this year, comment in as great detail as it would wish to about the predicament in which the club finds itself today. 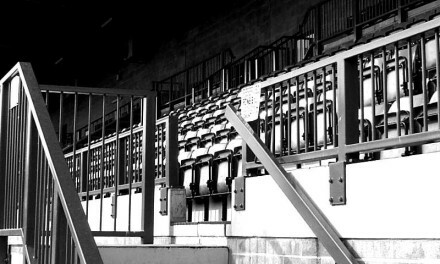 Meanwhile, local MP Bob Ainsworth yesterday released documents into the public domain which seemed to indicate that – and whether this was an honest mistake or not isn’t a question that we could speculate upon – that CCFC Ltd was “the club in 1995” and that there was previously little to no confusion over its ownership structure “going back to 1905”, as Chief Executive Tim Fisher claimed at supporters forums earlier this year. Again, serious questions remain unanswered about the club’s period in administration which have not been satisfactorily been answered across the board. Meanwhile, Coventry City supporters sometimes seem to be happiest when they are bickering amongst themselves over whose fault this absolute train wreck is. There are lengthy debates to be had over whether the original rent charged for use of The Ricoh Arena was too high, whether this should have been spotted by Sisu during their due diligence period prior to purchasing the club and the moral aspects of the way in which that organisation has behaved over the last year and a half or so. There are also further debates to be had over the technicalities of selling the stadium, how it might be done, what a reasonable valuation for it might be and how this interacts with any security held over it. We’ll return to these over the course of the next few days or so. For now, though, we can only say it as we see it. To the extent that there is a tangible extent to the feelings of Coventry City supporters at the moment, we can only truly rely on the pitiful sub-two thousand attendances that have been pitching up at Northampton to watch a promising team that is playing attractive football at the moment. The stay-aways have stayed away. As things stand, Sisu still owns little more than a husk of a football club that has carved its own niche as the shambles of all shambles in English football in 2013, and there seems no end in sight to this misery yet. If it’s going to happen it’ll take a bold move from one side or another. Move back while negotiations are ongoing? Free rent while we’re contracted to pay Northampton? Maybe protest numbers at council house were low because people were at work????? Another triumph for the conventional ownership model.